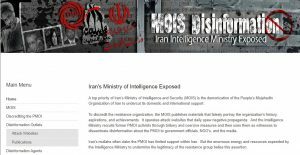 A website dedicated to exposing Iran’s Ministry of Intelligence and Security (MOIS) activities against the Iranian opposition, the MEK. A meeting of the Iranian regime’s Supreme National Security Council was convened by order of regime Supreme Leader Ali Khamenei in an attempt to minimize the political damage due to its failed terrorist plot to bomb the Iranian Resistance’s annual Grand Gathering in Paris and the subsequent arrest of agents acting on behalf of the regime, including an Iranian regime diplomat. The regime also commissioned its Foreign Ministry, the Ministry of Intelligence, the Quds Force, the Revolutionary Guards intelligence, and the state-run media to assist in damage control, as the regime continues to deal with the unfolding scandal. The regime has employed a number of strategies to try to minimize the damage caused by their failed terrorist plot and to avoid the consequences of their actions. The regime immediately defaulted to their usual strategy of blaming the MEK for their own attack on their organization. This is an old trick that the regime uses to attempt to escape culpability when they are caught in an attack on the MEK. In this case, the regime claimed that the MEK trapped the terrorist-diplomat to frame him in advance of regime President Hassan Rouhani’s visit to Europe. Mohsen Rezai, former commander of the Islamic Revolutionary Guard Corps (IRGC) and the secretary of the regime’s Expediency Council, claimed that the couple who was arrested in Belgium with explosives were actually high-ranking members of the MEK. According to his logic, the couple wanted to be arrested for reasons that are unclear even with his explanation. He claimed that the couple “contacted the diplomat and talked about their readiness to cooperate with Iran …” and that’s why “these two people met with our diplomat in a place where a package was exchanged which was recorded by closed-circuit cameras or by the [MEK]. “These two members of the [MEK] made themselves subject to the arrest, and confessed to such a plot led by the Iranian diplomat.” Rezai’s statement is nonsense in the purest sense of the word. The MOIS and the Ministry of Foreign Affairs managed a victory by commissioning some of those in Europe and the U.S. who hope to appease the regime to act as if the terrorist act was somehow planned by rogue agents within the regime without the knowledge of the Rouhani government. Daniel Benjamin, the counterterrorism coordinator at the U.S. Department of State during the Obama administration, furthered this narrative, saying that he could not eliminate the possibility that the act was carried out by radical security agents in the Iranian government to embarrass Rouhani or destabilize the government. It should be noted that Benjamin has a history of hostility toward the MEK. Nothing more is expected from Daniel Benjamin and Hooman Majd. The regime ordered the Quds Force and MOIS stations outside of Iran to recruit indigenous elements in Albania, Bosnia, Serbia and Kosovo to carry out terrorist threats against the MEK in Albania. 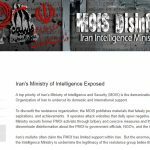 Regime-controlled media overseas has been instructed to create fake films and reports about the MEK in these countries to set the stage for attacks. As a result of the fallout from the scandal, the IRGC was ordered to expand the scope of its intelligence and espionage activities against the MEK.